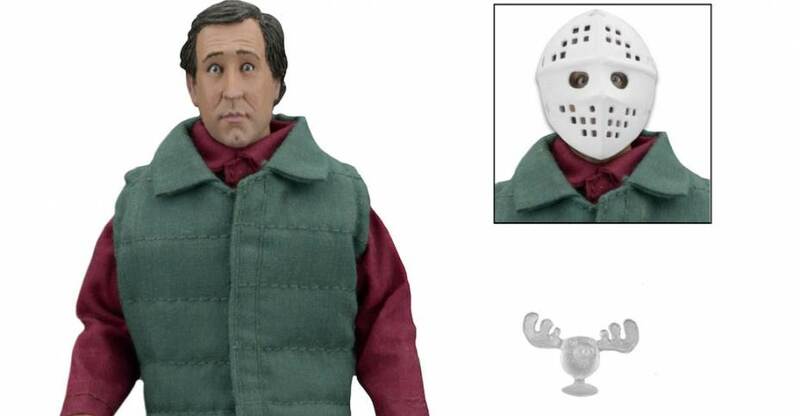 A second version of Clark Griswold from National Lampoon’s Christmas Vacation is coming to NECA‘s retro Mego style action figure line this Summer. We’ve seen the figure at a few shows, as well as an official photo back in February. 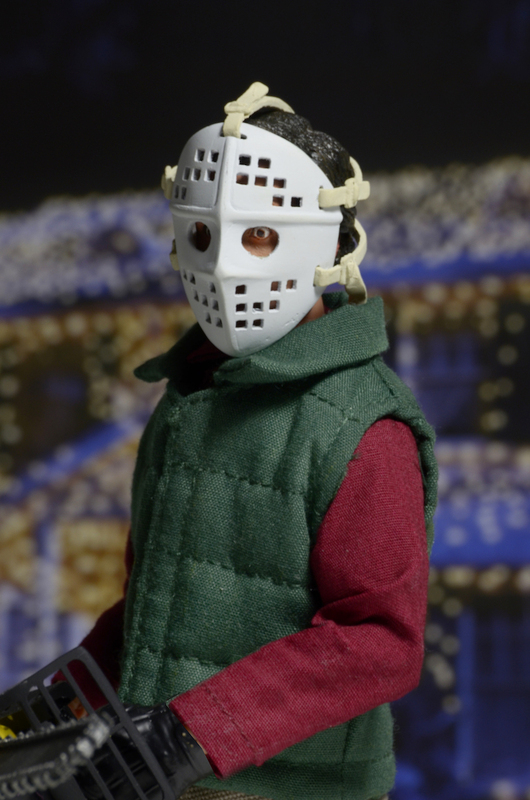 Now we have more photos and full details directly from NECA. 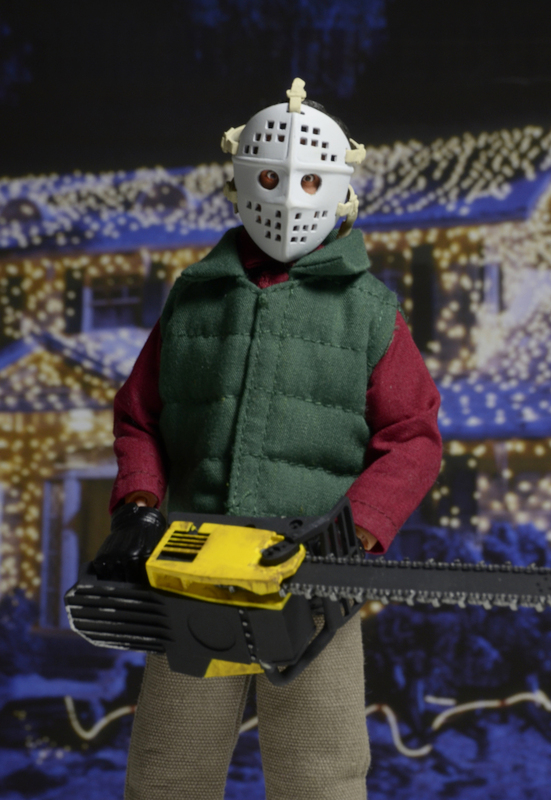 This version gives us a Clark Griswold in his hockey mask and with a chainsaw as he goes out to trim the Christmas Tree. 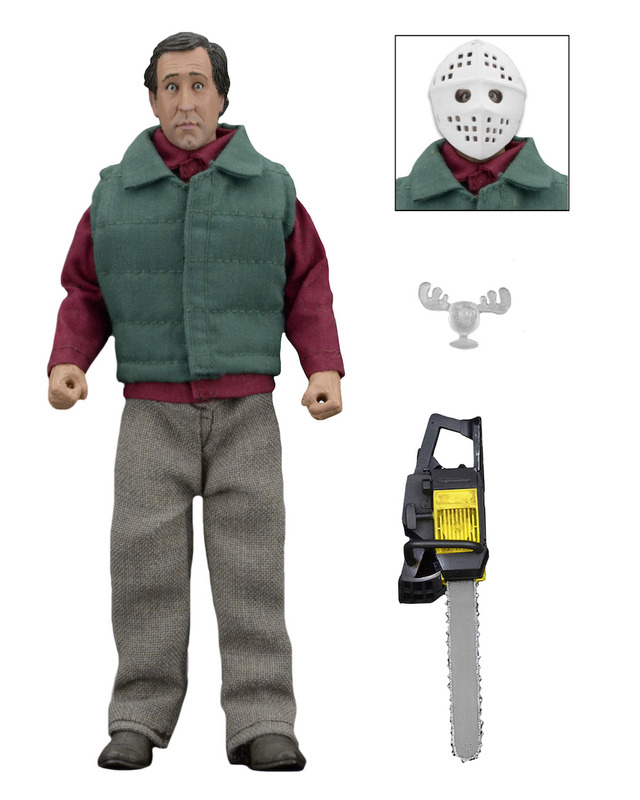 The Chainsaw Clark figure ships out in July. Read on for a few new photos of the figure. 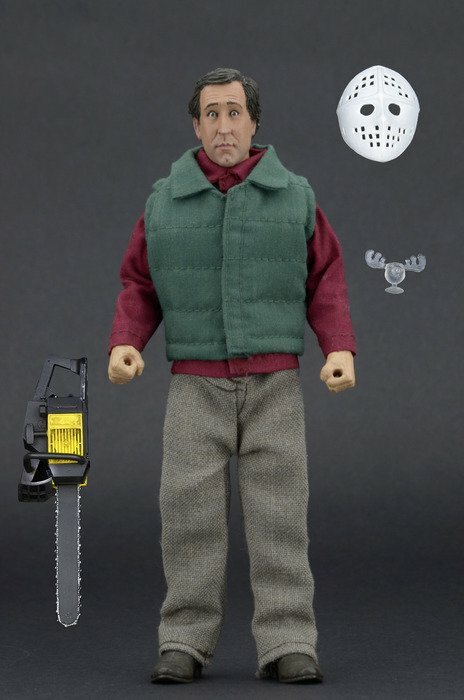 so how exactly does one hold a chainsaw whilst making double fisted spyglasses? Probably works like the Leatherface chainsaw. Both handles detach from the chainsaw, slide through the fists and then reattach to the saw. well then, that makes sense, so I'll just shut my mouth. as an aside, the tiny wally world moose glass is a-dorable. Just give me a cousin Eddie in his bathrobe, hat, beer, cigar and shitter tube and I'll have a very merry Christmas. Can't wait for this! Chrismas in July? Brilliant! So glad I don't have to wait until December. 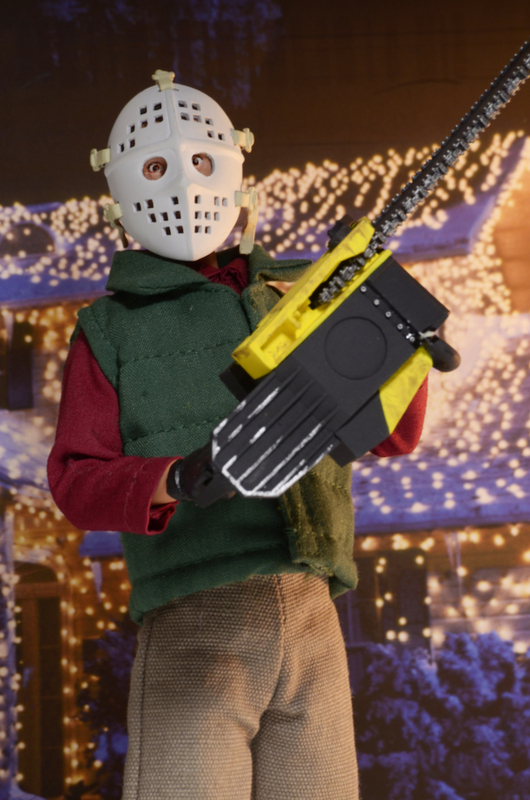 Hahaha I love him with his mask on holding the chainsaw. I'm gonna keep my eye for this, I want to make him part of my toy gang.